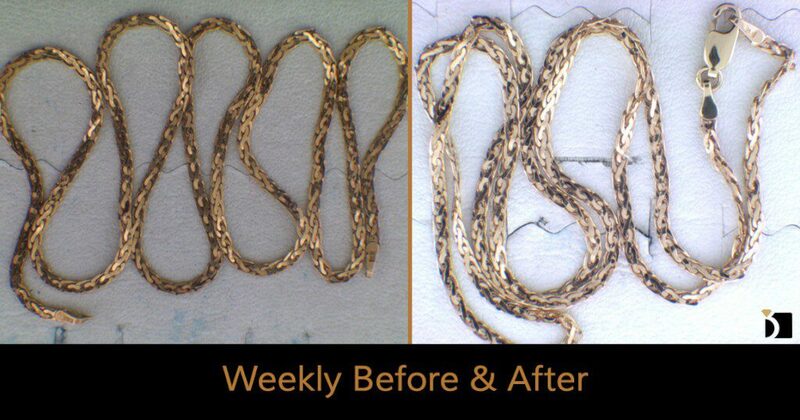 On this edition of the Weekly Before & After, we have a 14 karat gold chain with a broken spring ring clasp and a bent connection ring. Instead of replacing the spring ring clasp, the client requested an upgrade to a lobster claw clasp with an end cap connection. So, for this repair we had to provide a medium size lobster claw clasp, the end cap, and then solder them to the chain.